Kidnapped Kids / Kidnapped Society: A Legal Response or Collective Punishment? Violence is NOT our solution! Violent acts are not heroic, brave, or honorable. When will this insanity ends? asked Prof Mazin Qumsiyeh. I share his anguish. Violence creates violence! It destroys us! “Deep grief. 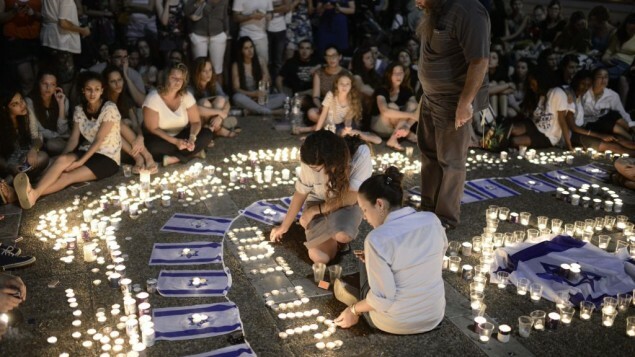 The people of Israel were unified in prayer, unity that should remain at all times. In war, as in war, the terrorists should be hit mercilessly on one hand and provide a proper Zionist response on the other. The eternal nation is not afraid of a long journey.” (Source: BBC). The murder of the teens is deplorable and my heart goes out to their families and friends. But let us remember that neither the person(s) responsible for these killings nor the motivation (criminal or political) for it have yet been identified. 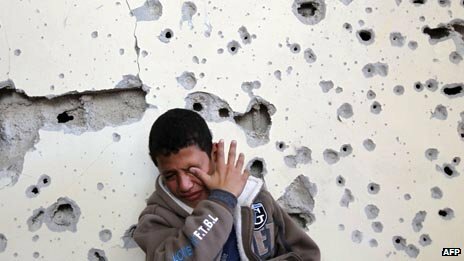 And even if it is clear who did it and for what reasons, it can never justify Israel’s collective punishment of Palestinian civilians or any other kind of violence against civilians. Hamas has strongly denied any involvement in the abductions. 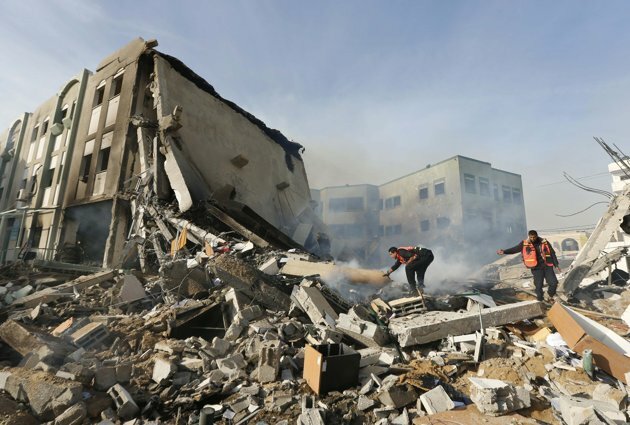 Yet for the last two weeks, Israeli occupation forces have been striking different areas of the Gaza Strip, claiming that they are targeting Hamas’ infrastructure. 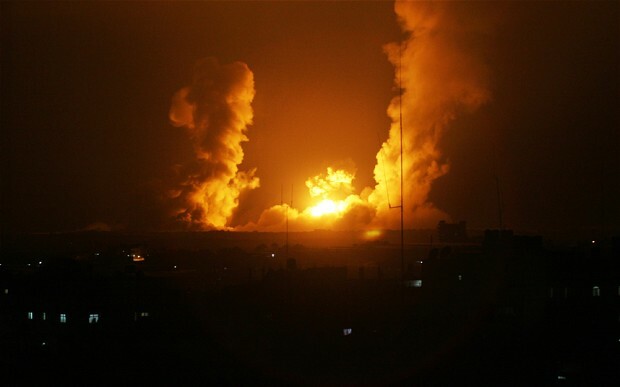 Scores of causalities, including another death on Friday, have been reported as a result of the Israeli attacks. (source: Middle East Monitor 30 June 2014). 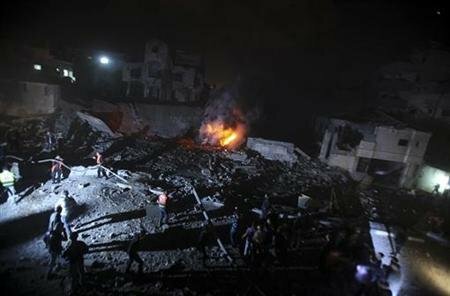 Israeli planes struck 34 sites in Gaza early on 1 July 2014 hours after the bodies of three teenagers were found in the West Bank. The airstrike killed a Palestinian from Khan Younis and wounded three others, including one with critical injuries. Mustafa Husni Aslan (22 years) died Wednesday 25th June after five days in intensive care. 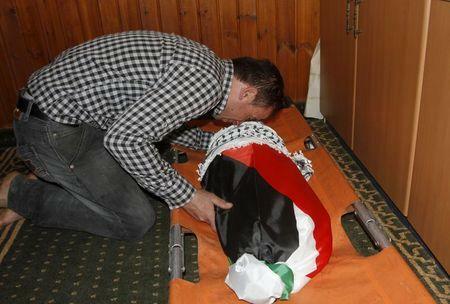 He was shot in the head by Israeli soldiers at Qalandia refugee camp on 20 June. Ahmad Sabarin (20 years) was shot in Al-Jalazun refugee camp (17 June). Mohammad Dudeen (15 years): was shot in Dura (20 June). 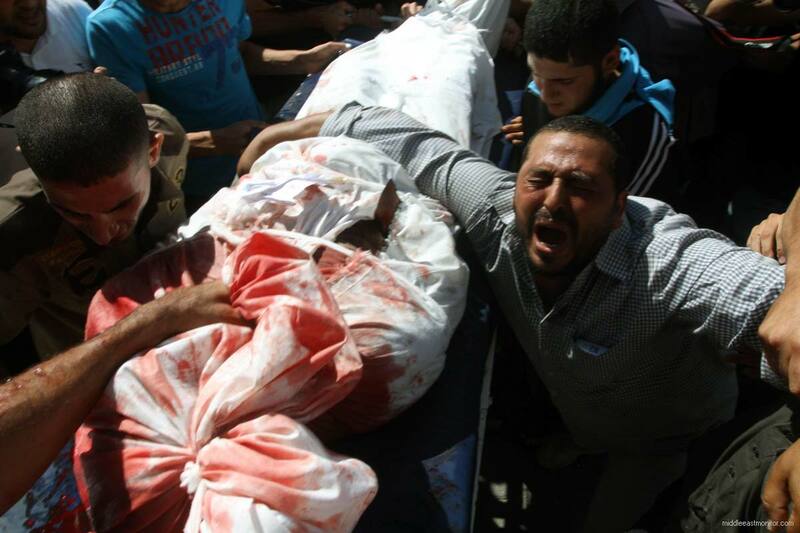 Ahmad Said Suod Khalid (27 years) was shot Al-Ein refugee camp (22 June). Mahmoud Tarifi, (30 years) was shot in Ramallah (22 June). 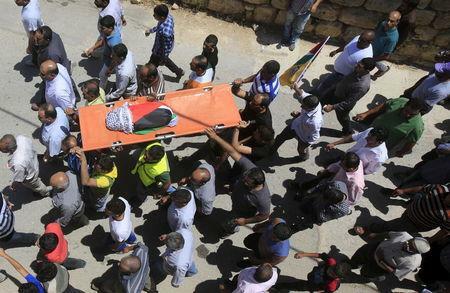 Two more people have died of heart attacks following Israeli Forces raids. Former political prisoners have been particularly targeted, and at least 52 of those released in the 2011 Gilad Shalit exchange have now been re-arrested. 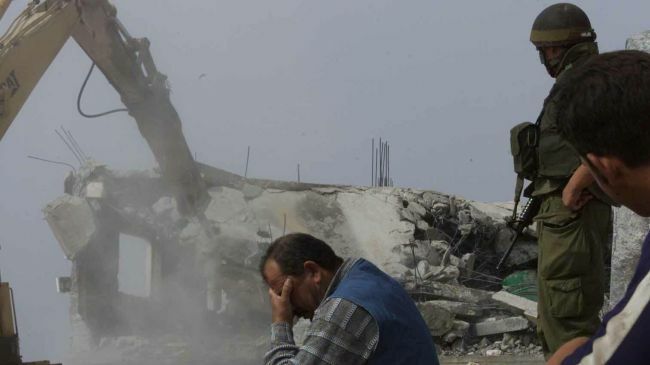 Dozens of Palestinian homes were demolished in the past two weeks. Over 570 more Palestinians were kidnapped in these two weeks making more than 6000 abductees languishing in Israeli gulags/prisons. 1500 Palestinian homes invaded without due process. 12 million native Palestinians still await their freedom from colonial occupation and displacement. And Israeli leaders are promising to “do more” (genocidal mayhem?). When will this insanity end? 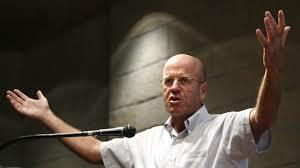 When will Israel be led by people like the previous speaker of the Israeli Knesset Avraham Berg. Peace in Jerusalem = peace on earth. And to all: Stay human! Israeli officials said the operation had two objectives: to find the missing settlers; and to crack down on Hamas. Thus, the operation must be understood in the context of US Secretary of State John Kerry’s failed peace initiative, and the decision by Fatah and Hamas to form a unity government. The operation has substantially targeted Hamas: 500 abductions/arrests have already occurred; 354 of these are Hamas members and twelve are parliamentarians who could have served in a unity government. The Israeli government has always opposed an independent and sovereign Palestinian state. For Israel, the prospect of a unity government between Fatah and Hamas, which has financial backing from the EU, moral support from the Arab world, and political acceptance from the USA, poses a huge threat. 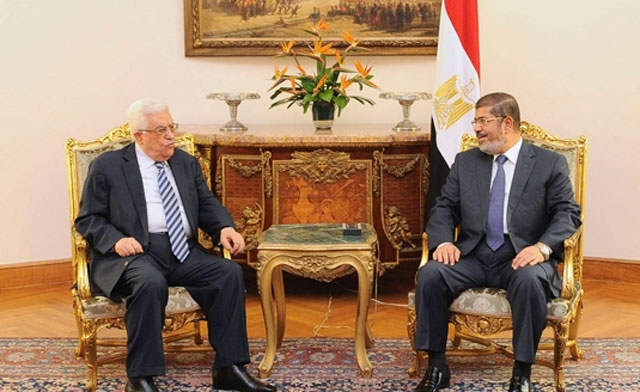 The agreement between Fatah and Hamas, fragile though it is, has the potential to shift the status quo towards a settlement favouring Palestinian statehood. A unity government would imply the inclusion of Hamas under the PLO umbrella, thus politically unifying all parties representing the Palestinian people. In this context, Israel’s policies of occupation and expansion in the West Bank would be impossible to implement. Moreover, with Islamic militancy growing in the region, a West Bank government that includes Hamas would be seen as doubly threatening by Israel. It was therefore strategically necessary for Israel to crack down on Hamas before a unity government was formed. Operation Brother’s Keeper allowed Israel to deal a military blow to Hamas while the movement is being strangled by Egypt’s new border policy, the closure of its offices in Syria, and by the limited support it now received from Iran and Hizbullah. 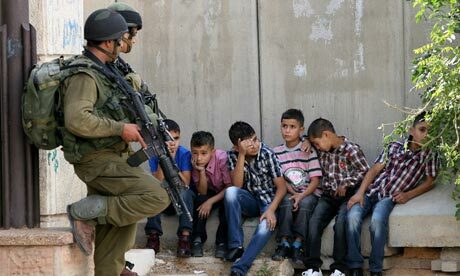 The Israeli military operation has been condemned by the United Nations as alarming. If Israel truly wants peace, why then should they object to peace amongst Fatah and Hamas? All lives, irrespective of a person’s nationality, carries the same value. Let us not honour these lives by destroying others. 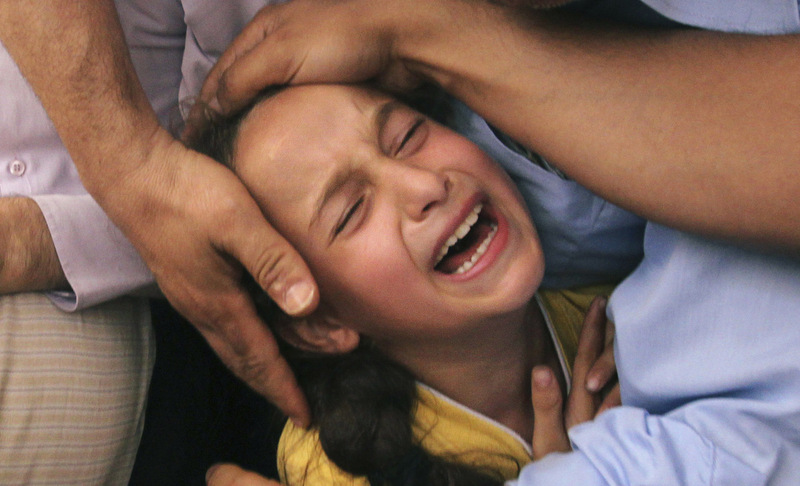 Disturbing photos show militarization of Israeli children. It happened. The people left. The dust settled. But you can still watch the children shouting, the adults trying to calm them down, the soldiers laughing, the grotesque Hyundai bulldozers hovering over the damaged furniture in the dusty rubble. You can also turn away – there are after all so much terror and injustices in this world. But there it remains – the flattened Palestinian house in Beit Hanina, East Jerusalem. The boy who doesn’t understand. The unsettled dust. It is not the end. 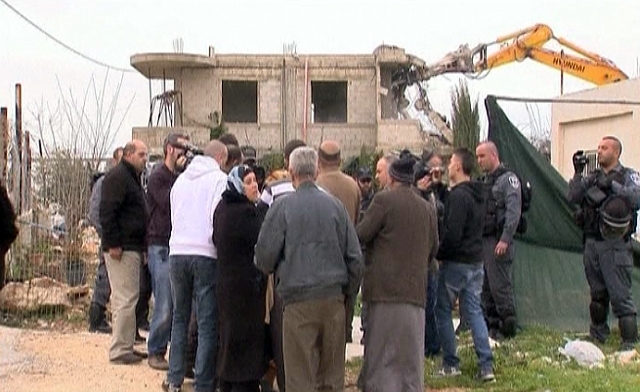 More demolitions will follow on Palestinian land – in East Jerusalem and in the West Bank. They will be executed by the hand of Israel who occupies Palestine illegally. …You know how your heart is broken open in this work? This was one of those times. I felt physically ill at the sight of all this and my voice broke as I told the young girl how sorry I was that this had happened. 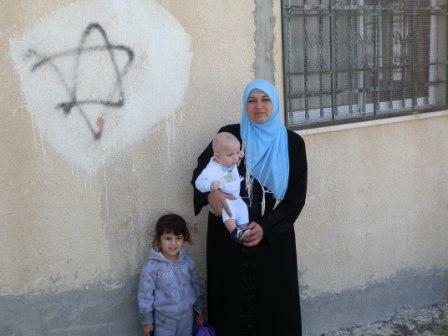 But this isn’t about me….it’s about the ongoing suffering under Israel’s occupation…. I was there yesterday to check on the family. The scene was beyond horrible. All that is left is a massive pile of rubble. Iman, the oldest daughter of the Castero family, a very articulate 18 year old first year law student with excellent English, came up to speak with me. She said that the house had been a 10 year old two storey stone house (typical Arab style), built without a building permit. (Building permits are virtually unobtainable for Palestinians in Jerusalem and so people build without). A demolition permit had been issued only days ago and they had been unable to stop it. 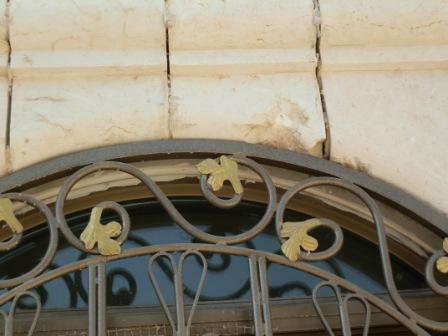 The Israeli authorities allowed less than five minutes for the family to get their belongings out of the house, and did not allow neighbours to help. As a result, they were only able to get a very few things out of the house. 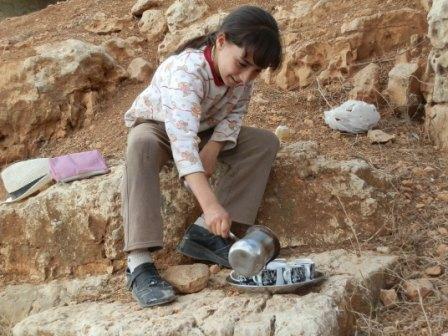 The majority of their household goods are buried under the rubble. This house was home to Iman’s grandparents, their three sons and their families. In total, this demolition has left 37 people homeless! They have no access to water, no food, no clothes other than what they were wearing, and no bathroom facilities. The ICRC (Red Cross) have supplied them with two tents and other agencies have contributed a small amount of food. Neighbours are helping out as much as they can. 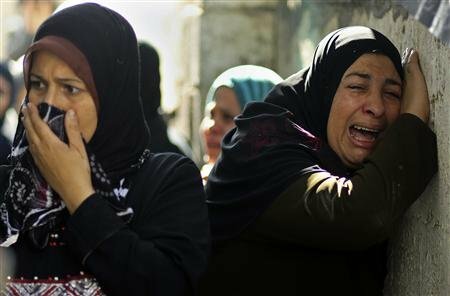 Apart from the obvious physical needs of the family, they also are suffering from considerable psychological trauma. As well, the grandmother was taken to hospital during the demolition. I simply ask that you include this Castero family in the prayers of the people of your congregation on Sunday. It is all done now. The incomprehensible destruction. The shattered lives of ordinary civilians. Israel’s repeated breaching of international law continues. 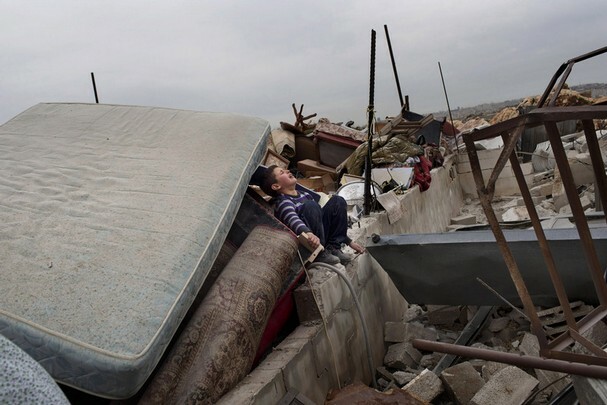 In 2011 almost 1,100 Palestinians, over half children, were displaced due to home demolitions by Israeli forces in violation to international law. This is over 80% more than in 2010. What is the world doing about it? Why do we think it does not matter if we pretend to not see it? Can Five Broken Cameras heal many hearts? This is what Guy Davidi, an Israeli film producer, asked himself. 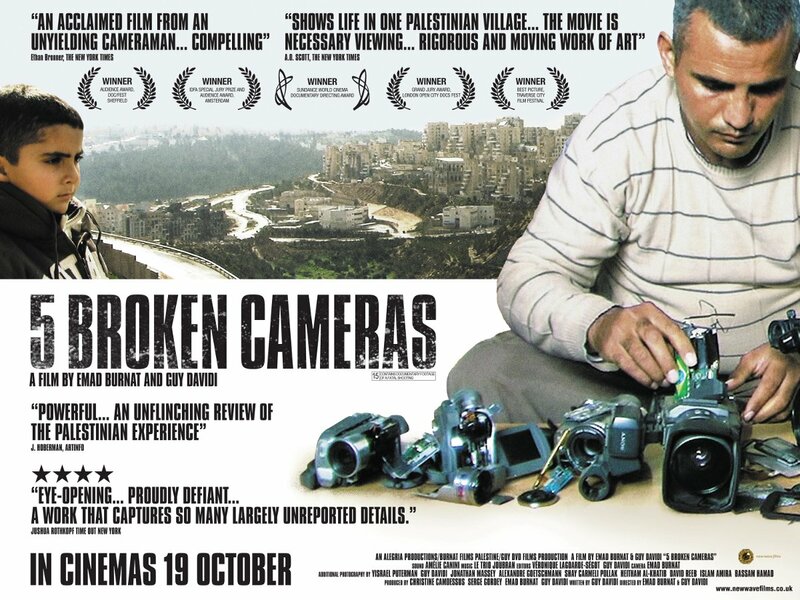 In 2012 the film “Five Broken Cameras” co-directed by Palestinian Emad Burnat and Israeli Guy Davidi became the most successful Palestinian-Israeli documentary ever. In January 2013 it won the World Cinema Directing Award at the Sundance Film Festival and it was nominated for an Oscar as the best documentary feature film. But is the world ready to see it? 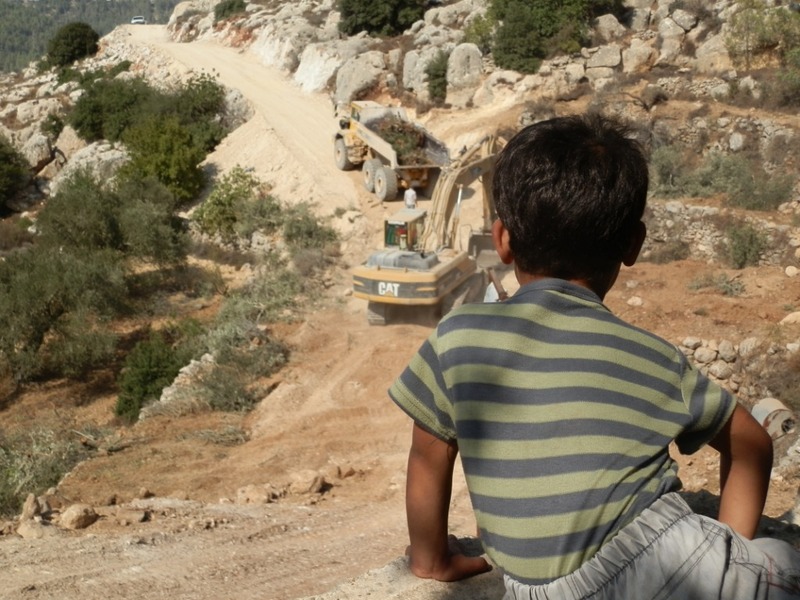 The film shows the first years of life for Burnat’s baby against the backdrop of the Palestinian village Bil’in and how the local civilians resist the Israeli Wall which, together with Israeli settlers, are illegally on Palestinian land. The thing is, the story of Emad Burnat’s family in Bil’in is not unique. 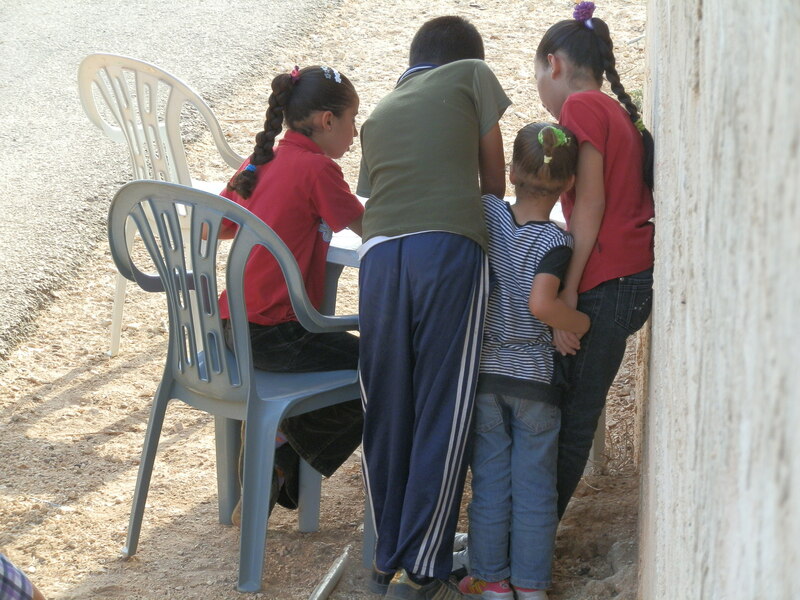 It is the story of just about every village in the West Bank of Palestine. Burnat simply filmed regular events as they unfolded. He says that five of his cameras were smashed by the Israeli army as he documented friends and family members being shot and injured by Israeli troops. 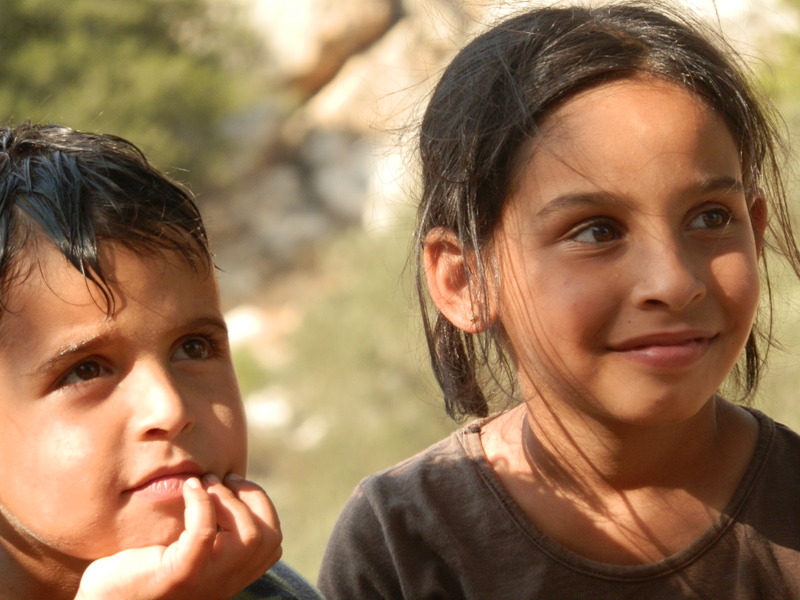 Yet despite the acclaim and international awards, the film is not allowed in Israeli schools. But the Israeli director in the team, Guy Davidi, finds different ways to show it to young Israelis. 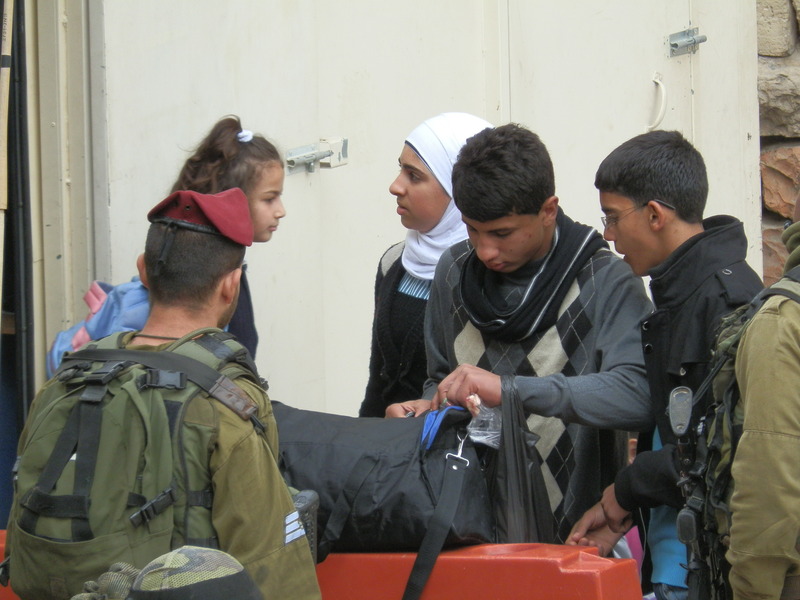 Can Palestinian non-violent resistance make it into Israel’s education system? For us who have already witnessed what happens in Palestine, what are we to do? For me one thing is to talk about the Palestinians’ choice of non-violent resistance… and initiatives with them and with like-minded others such as my Jewish and Muslim friends and colleagues. When the time is ready, I shall do so in future posts. May we all have open hearts in the rest of 2013 – hearts that will not only receive, but also share blessings of goodwill and love. May we co-discover ways to create a dignified peace. And may this film remind us that all in the world deserve dignity. There are different kinds of violence. Right now brutal physical violence disrupts the lives of those in Gaza, in Sderot, in Tel Aviv, in Jerusalem and elsewhere. Earlier in the week I received the news of Israel’s ordering of thousands of people in the northern Jordan Valley to abandon their houses so that the IDF can conduct military exercises (on occupied Palestinian land). Some of these people may return to their houses (what will be left?) and others may not. They have no choice in the matter. There is also the violence of systemic oppression and the violence of apathy of the international community. In my own country there are the violence of neglect, the violence of greed, the violence of ignorance, and so many more kinds of violence. and that nothing can excuse the systemic crimes being committed by the state of Israel. What does the law say about violence? “overall right of an occupied population to resist a foreign military occupation, including through use of arms against military targets, is recognised as lawful under international law” (Bennis 2012:3)*. On the other hand, Israeli civilians are also protected by the two laws mentioned above, so they in turn may also not become targets in an armed struggle. My hurt is for those who are injured and killed; for their friends and families; for those who conduct the deeds of violence as they too are wounded even though they may sense the pain only later; for those who give the orders; for those who jubilate; and for those who stand by. May God help us all. May we continue to search for another way. And when we do so, may we hold hands. *Bennis, P. 2012. Understanding the Palestinian-Israeli Conflict. A primer. Northampton: Olive Branch Press. 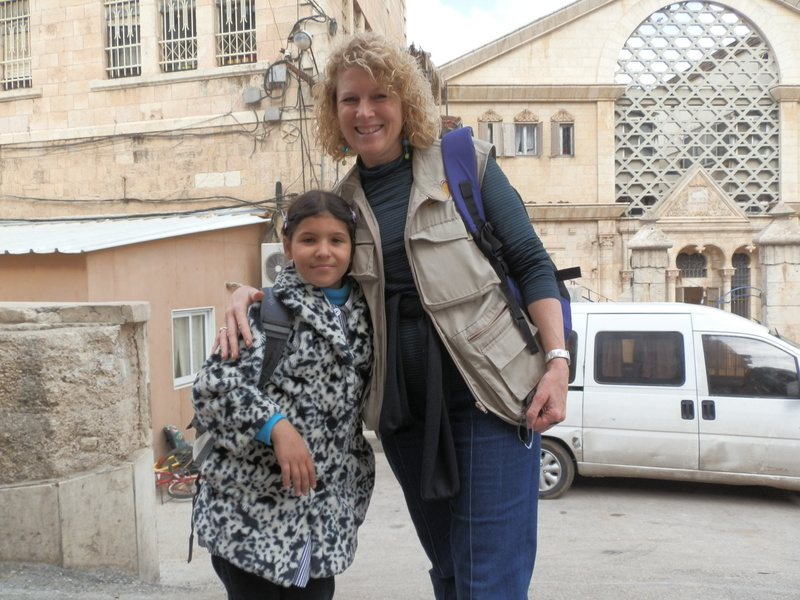 When my EAPPI colleagues and I visited Asira, Naja (pictured here with one of her children) gave us water and tea and cool drinks. She told us their story and showed us how they try to protect their windows and where fire was set to the house. But what I remember best, is the weary expression in her eyes despite her friendly smile. I could see that she didn’t think there is much we could do to help her. 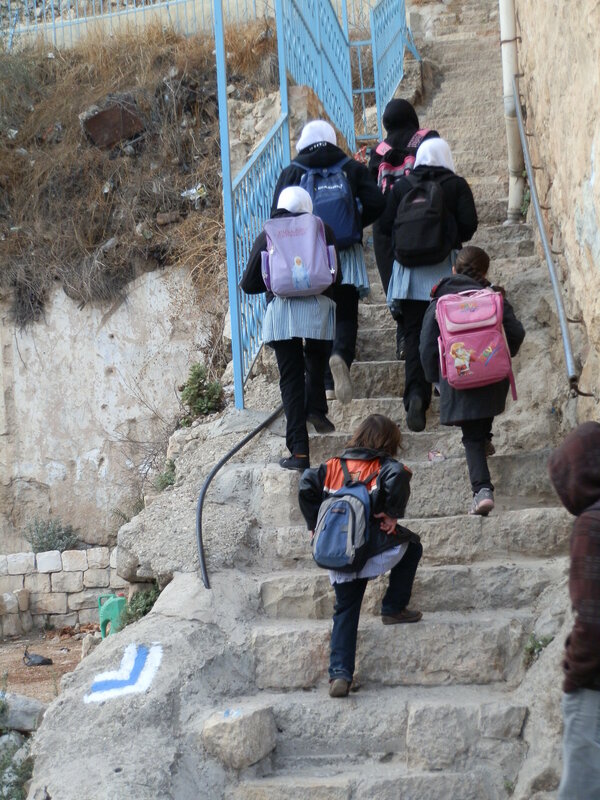 Asira is a Palestinian village south of Nablus, in the West Bank. 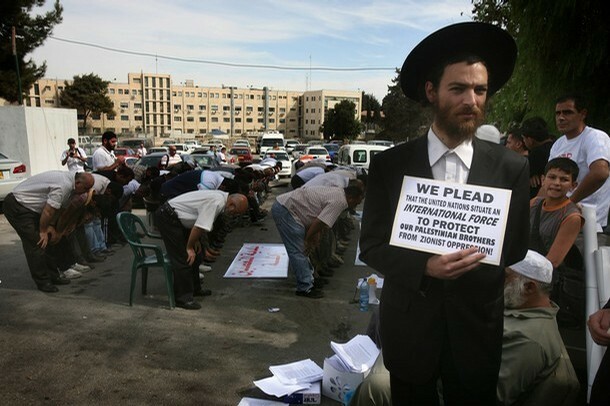 September 2011: In a special arrangement between the Israeli government and ICRC (the Red Cross), Israel removed 40 of its most vigilant settlers from the West Bank to Tel Aviv (where they were on holiday) for a few months. This was necessary to calm things down in the West Bank when Palestinian leader Mahmoud Abbas asked the UN to recognise Palestine. Despite this, other (more moderate?) 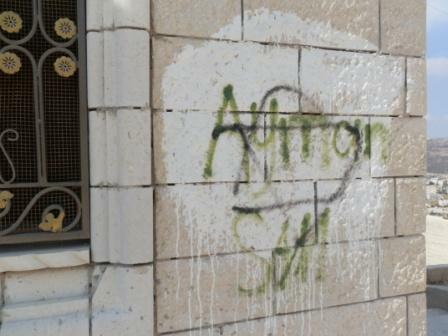 illegal Israeli settlers did their best to provoke Palestinian villagers during that time…. 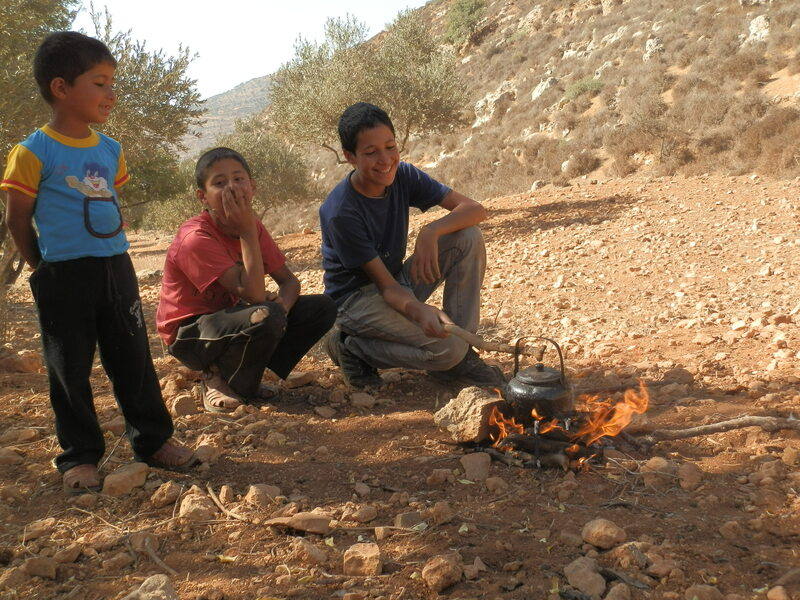 they damaged hundreds of olive trees, unarmed villagers were shot (one dead and four injured), etc. But the removal did help, as in some of the other villages where we monitored human rights, things were more quiet. The homes at the edge of this Palestinian village are located a few hundred metres from houses in the Jewish settlement of Yitzhar. But the relationship is anything but neighbourly. 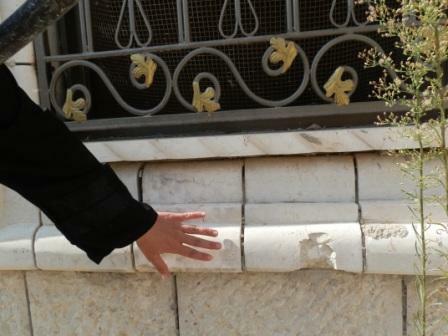 On a late January tour of the Palestinian village led by representatives of the Ecumenical Accompaniment Program in Palestine and Israel (EAPPI), residents said attacks by Jewish settlers on their village are more organised and increasing. Sometimes the attacks, which involve rock throwing, vandalism and crowd intimidation, are a part of reprisals known as “price tag” attacks carried out by settlers after an Israeli government attempt to dismantle illegal outposts or a Palestinian attack against Israeli targets, they said. This breaks my heart. Naja’s husband leaves home early in the morning to start his day as a taxi driver. What happens while he is away – and also why he is there? 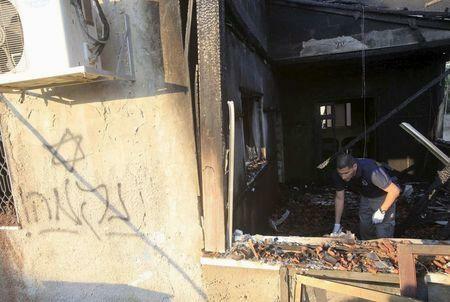 More damage to their house due to fires, stone throwing, broken windows, and Zionist signs on the walls? 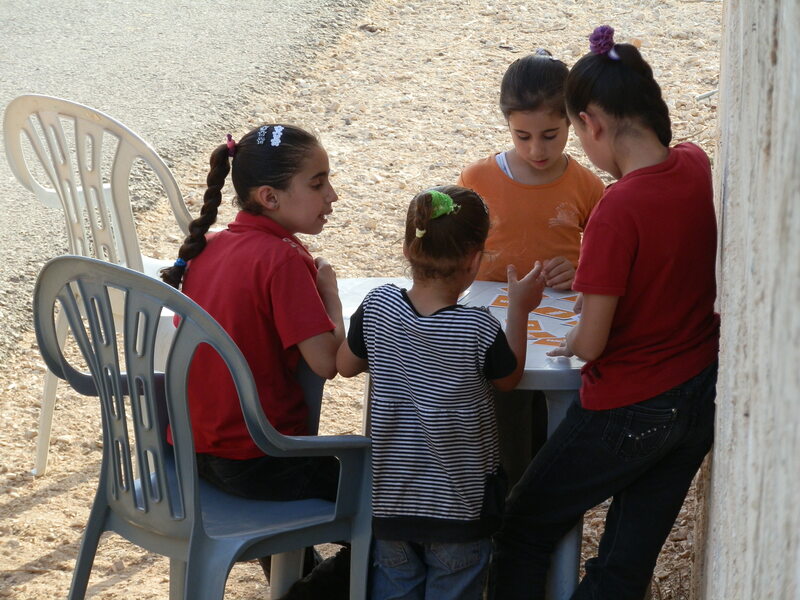 Their children scared to come home after school or to play outside next to the fragrant red roses in Naja’s garden? My heart aches for them, and for those who feel called to intimidate others and damage their property. Naja was right. 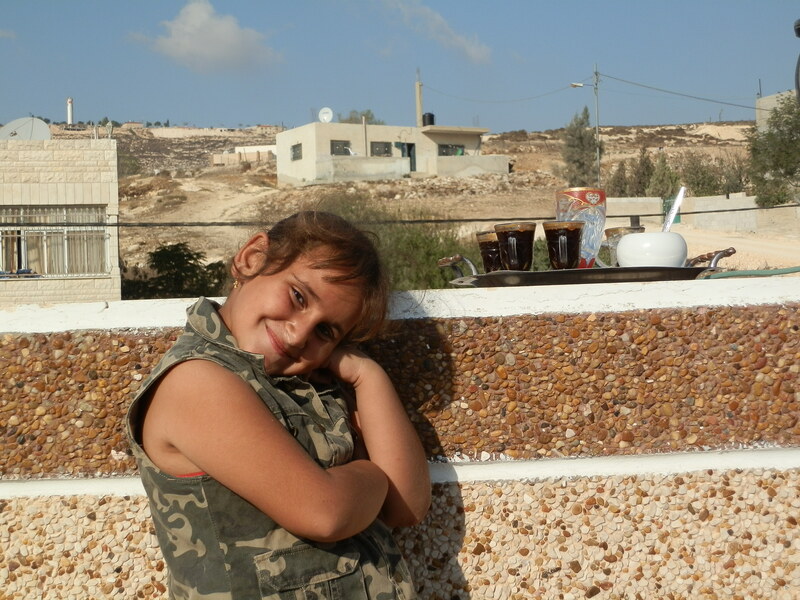 I couldn’t do anything for her and her family while I was in the occupied territories of Palestine. But I’m not giving up. We, ordinary citizens, need to speak up, and cry out, each and every one of us: injustice no more and an end to the oppression! Like the world did with South Africa under an apartheid regime. The UN is not going to do it, for the USA will continue to veto the UN’s recommendations. They have already done so many times. The mass movement against oppression in Palestine needs to grow and we need to put pressure on the powers of the empire. As Alice Walker said, “we are the ones we have been waiting for”.